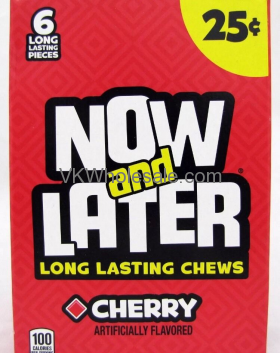 Minimum quantity for "Now & Later Candy Cherry 24/6 PCS Bars" is 1. Long lasting, artificially flavored Now & Later candy! 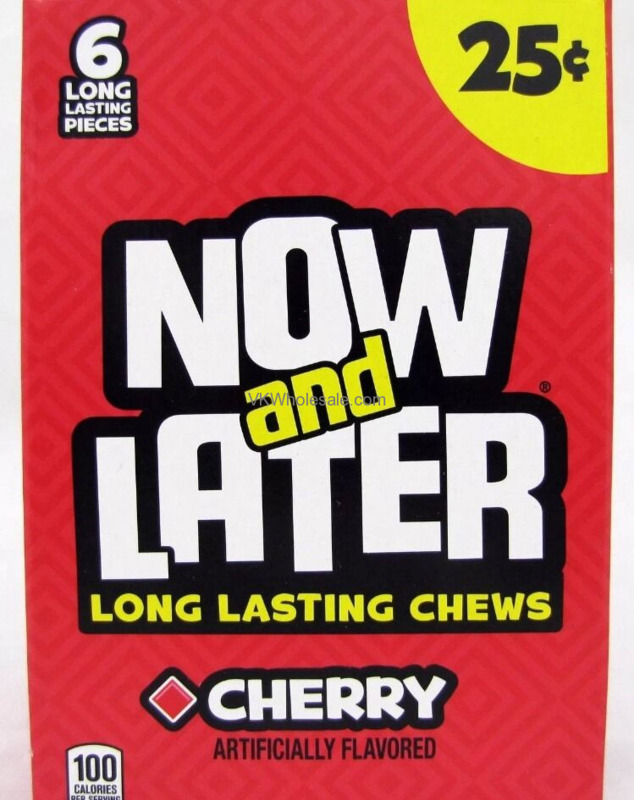 This Now & Later candy provides intense, bold fruit falvor. Each bite gives you get delicious, bold cherry flavor. Comes in individual wrapped chews, makes it easy to carry and share. 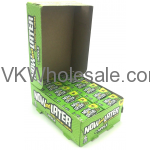 Now and Later is one of the best selling candy at any convenience stores, gas stations, liquor stores and dollar stores. Minimum quantity for "Now & Later Candy Apple 24/6 PCS Bars" is 1. 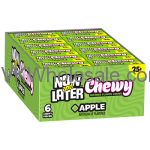 Minimum quantity for "Now & Later Candy Apple Chewy 24/6 PCS Bars" is 1. 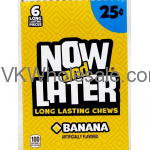 Minimum quantity for "Now & Later Candy Banana 24/6 PCS Bars" is 1. 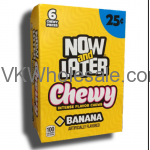 Minimum quantity for "Now & Later Candy Banana Chewy 24/6 PCS Bars" is 1. 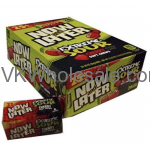 Minimum quantity for "Now & Later Candy Extra Sour Cherry 24/6 PCS Bars" is 1. 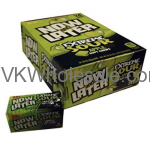 Minimum quantity for "Now & Later Candy Extreme Sour Apple Soft Chews 24/6 PCS Bars" is 1.